Happy late birthday to me! If I could ask anything for my birthday it would be rose gold jewelry and this piece made my day. My rose gold addiction is totally taking over. I can’t stop searching for more and more rose gold jewelry. When I found Coco’s Liberty I immediately fell in love with the beautiful and fragile gold, rose gold and silver jewelry. I am so grateful. 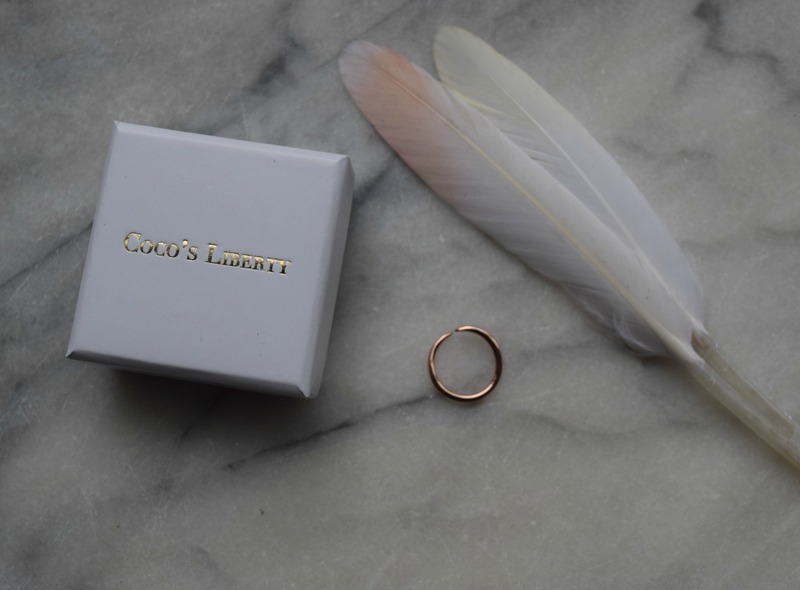 I want to give a special thank you to the founder of Coco’s Liberty: Elina Bergert, who made this ring especially for my birthday. Thank you so much! Coco’s Liberty was founded in 2014. Elina’s inspiration to start this brand came because of the fact that when she was younger, she could never find the jewelry she really liked and wanted. And after working as a lawyer, she finally followed her dreams and did what she always wanted: she became a jewelry designer. Her jewelry are classy and elegant, timeless and fragile. She also started a 3D line – so creative and impressive! Not only her jewelry are very beautiful, but it is also a pleasure to look at her amazing site. My Spike Ring is 18ct. rose gold and handmade. Elina only uses valuable and strong metals. 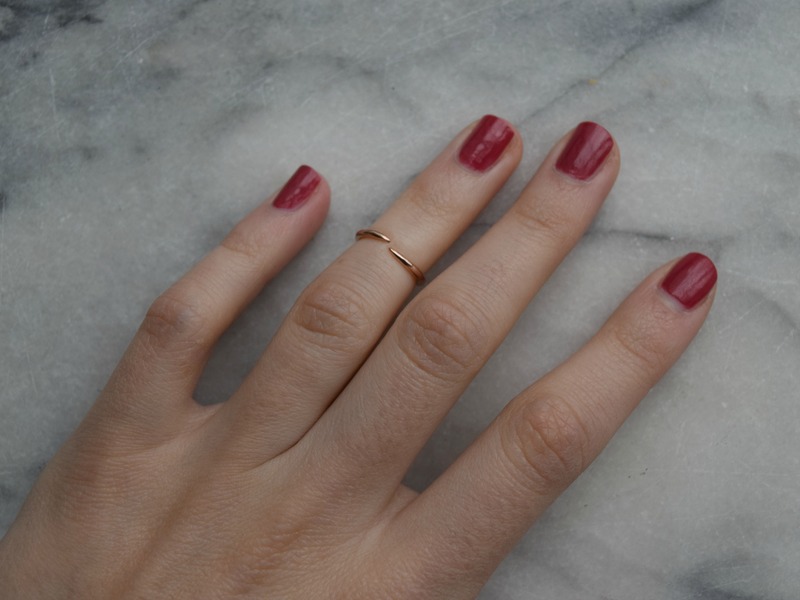 My little knuckle ring is such a cutie!